Two new episodes, the fourth and fifth in the series Patrimonito's World Heritage Adventures ,are now available. 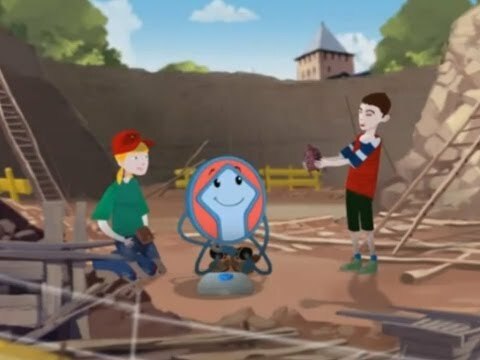 Featuring Patrimonito, the World Heritage mascot, these cartoons enable young people to transmit a message to other youth and the general public about World Heritage values. In episode 4, Patrimonito sensitizes young people to the erosion from weathering that is damaging the stone surfaces of the thirteenth-century Rock-Hewn Churches, Lalibela (Ethiopia). In episode 5, he lends a hand to young would-be archaeologists working on excavations to help preserve the treasures of the Historic Monuments of Novgorod and Surroundings (Russian Federation). Each episode in the series is conceived and written by students of the region, who draw up storyboards in a nationwide competition. The selected submissions are then developed into cartoons by professional animators. Each episode is about three minutes long, and can be viewed in CD or DVD format.